Everyone knows how stressful it is to think about what to do with the trash and junk sitting in the basement, the garage, or in the courtyard. Fortunately, Junk Happens is here for you! Our company is made up of individuals who know what it really means to provide the best professional services to our clients. 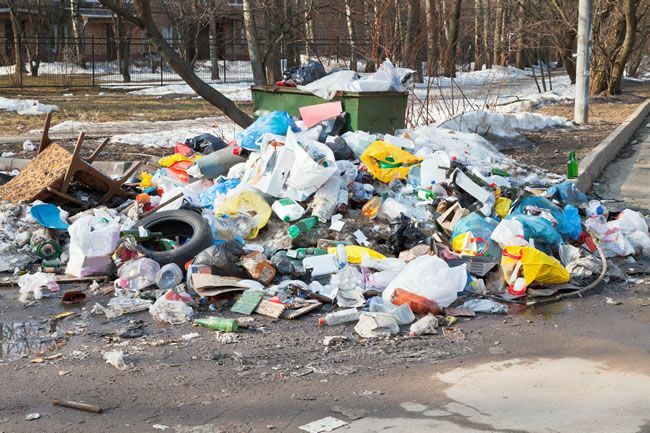 Our expert technicians are trained to handle a wide variety of junk removal St Louis Park tasks such as trash and mattress removal and debris cleanup. Through our years of experience, we have already found the perfect methods to work on junk removal jobs. We are all about making the lives of our clients a lot easier. This means that when you hire our services, we do everything to get rid of the junk from your premises. All you need to do is tell us your specific instructions. What Does Junk Removal Mean? A lot of people are talking about junk removal St Louis Park MN but what does it really mean? What can be removed in the first place? Basically, junk removal is the process of removing trash or unnecessary items from your home or commercial space. The things that can be removed through our junk removal service St Louis Park MN can be as small as trash bags or as big as old appliances and furniture. Moreover, our junk removal company can also do some light demolition and full-house cleaning. However, please take note that there are limited services available when dealing with hazardous wastes. Most junk removal companies do not include this as part of their services as it is better for experts to deal with it. Get in Touch: This can be as simple as a phone call or an online appointment on our website. Schedule an appointment and tell us a little about the job that needs to be done. Survey and Quote: Upon arrival, you can instruct us with the job in more detail. We will then assess the job and give you a reasonable quote. If you are happy, we can start right away! Our quotations are not made out of thin air. We back it up with the amount of junk that needs to be removed and your budget in mind. Our goal is to remain the best and cheap junk removal St Louis Park without compromising on the quality of our services. At the end of the day, we go by our core principle and that is “no junk goes to waste”. While we may be removing junk from your space, we ensure that they are properly disposed of. So, get in touch with us because we are all set to serve you with the best junk removal St Louis Park service in town!